The Derwent Dambuster race will be held on Saturday 18 May 2019. Entry for the 2019 event is NOW OPEN. The entry fee will be £22, and we are limited to 200 runners and 30 walkers. To enter, please visit the SiEntries page. The race will start on the road just below Derwent Dam, near Fairholmes, and will follow the standard anti-clockwise track around Derwent and Howden reservoirs. Start times are 10:30 am for runners, and 9am for walkers. 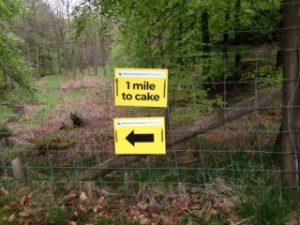 Please arrive in plenty of time to register and collect your race number. Marshals will be on site to help with parking at Fairholmes and also to provide water and support on the course. All the marshals and volunteers for making it a safe, friendly and successful day. The Organising Committee – Lorna Smith, Keith Hague, Chris Roebuck and John Holliday. 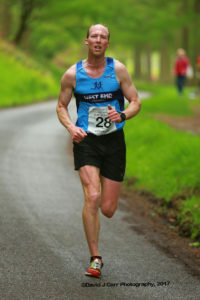 Paul Dobie and his team from Cotswold Outdoor Bakewell store for sponsoring race numbers, prizes, and the event shelter. Paul Wetton and the National Park team. Jenny Joy-Matthews for organising the cake stand. Kat Adam for time recording. Toby Rhodes for orgaising car parking, timing and background logistics. Andie Brazewell for radios, and for risk assessment with Mick Earle. Suzanne Robinson for the new signs and marshal safety cards. The Anglers Rest, Bamford for the cake stand tables. Sainsbury’s Supermarket for providing the water. Emma Yarwood for photographing the event. Jaqui Copley for starting the race and presenting the prizes. Sally Vetta for the trophies. SiEntries for the registration site. Edale Mountain Rescue for being on stand-by. The Friday Evening Team for preparations before the event. And last, but not least, the runners and walkers themselves – well done all! Please help us to help even more people by getting sponsored to complete the Dambuster event. You can donate online to CCTA, or even set up your own web page to publicise your fund raising for the Derwent Dambuster event.